For the best hot tub cleaning supplies in the Hickory area, contact us at S & H Pools. Having a clean hot tub is one of the best ways to keep your hot tub functioning properly. It can be confusing to know which hot tub cleaning supplies will work best with your hot tub because there are so many options, but our team at S & H Pools can help. We have a great selection of the best quality hot tub cleaning supplies for you to choose from, and with our help, your hot tub in the Hickory, North Carolina area will continue to work properly. When you use the right hot tub cleaning supplies, you will remove dirt and buildup that, if left untreated, can lead to more serious problems with your hot tub. In addition, a clean hot tub is much more enjoyable to spend time in, and our hot tub cleaning supplies will ensure your hot tub is clean and ready to go. 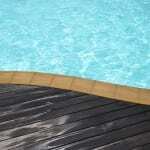 At S & H Pools, we only offer quality materials and services to our customers in the Hickory area. We want to be the business you come to for all your hot tub cleaning supplies because of our friendly, personal customer service, and we have worked hard to build and maintain relationships with our great customers. After 37 years in the industry, we know how important our customers are to us, and we will continue to provide the best service possible to each of our customers. For the best hot tub cleaning supplies in the Hickory area, come to us at S & H Pools. Our trained, experienced staff is ready and happy to help. Come see us today!